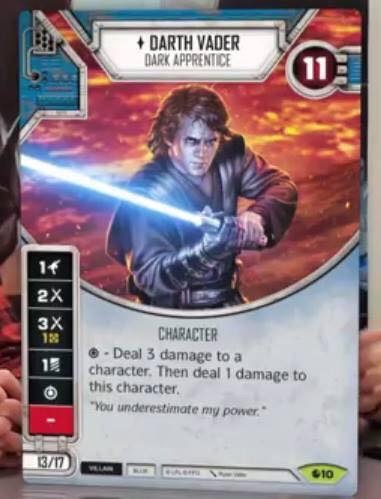 Looks like Team Covenant spoiled a few more cards. Sweet. I love this game. First up, we have a couple of spoiled characters. It looks like Darth Vader is getting another version. He's actually a pretty solid damage dealer. He effectively has damage facings of 3, 3, 2 and 1. The remaining facing is a discard, which is always useful. At only 17 point for an elite version, there is room for another 13 point character. Not bad. 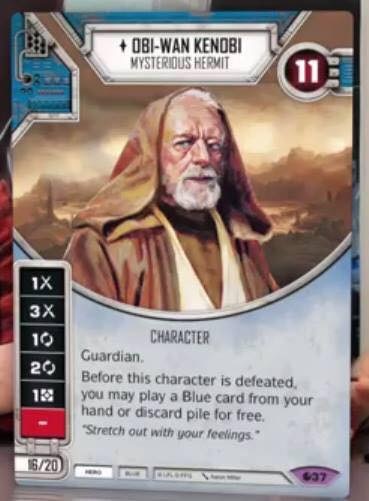 Obi-wan looks interesting. He's SUPER expensive, but seems like an ideal support character. I doubt we'll ever see him used as an elite. 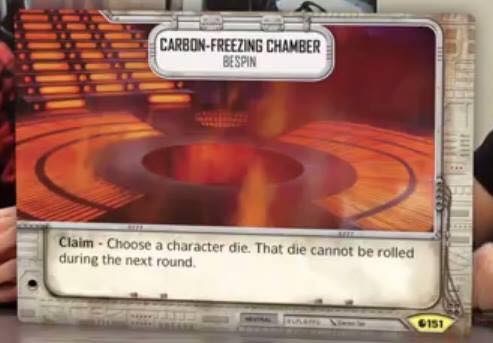 With two focus facings and death allowing a free card, it seems like a single die character is enough. Rise Again seems like the blue Villain Second Chance. 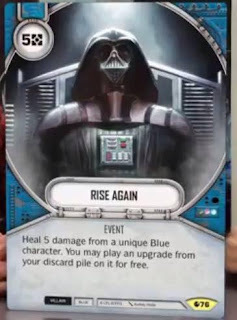 Heal a unique blue character for 5 damage AND give him a free upgrade from your discard pile? Sure. That sounds amazing. 5 resources is a pretty high cost, but I would stick this in my Vader/eJabba deck right now. Any deck that can generate resources will love this. Last up is a Battlefield. Being able to prevent a character die from rolling is useful, but not amazing. We'll see how this one stands up to the other Battlefields in the set.